Shelly Bahl is a visual and media artist based in New York City and Toronto. She received her B.F.A. (Visual Art and Art History) from York University, Toronto and her M.A. (Studio Art) from New York University. Her interdisciplinary work in drawing, painting, sculpture/ installation, photography and video has appeared in a number of solo and group exhibitions in North America and internationally over the past 14 years. Her recent and upcoming projects include group exhibitions at: Mattress Factory Museum (Pittsburgh, Pa); Modern Fuel Gallery (Kingston, ON); Jersey City Museum (New Jersey); Jamaica Center For Arts and Learning (New York City); Experimental Art Gallery/ Habitat Centre (New Delhi); F.U.E.L. Collection Gallery (Philadelphia); Guild Gallery (New York City); and the Queens Museum of Art (New York City). Over the past few years, her solo exhibitions have also been held at LEE Ka-sing Gallery (Toronto); Gallery 198 (London, U.K.); Richmond Art Gallery (Vancouver, B.C. ); Gallery 44 (Toronto); M.Y. Art Prospects (New York City); and Khyber Centre For the Arts (Halifax, N.S.). She has participated in short and long-term artist residencies at the Artists Alliance (New York City), The Banff Centre For the Arts, Vermont Studio Center, and the Sanskriti Kendra Foundation Centre (New Delhi). 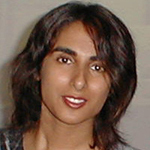 Her artwork has received significant critical attention, and has most recently been reviewed in the New York Times, Time Out Delhi, NOW Magazine, National Post, Hamilton Spectator, Asian Art News, World Sculpture News, Art India, Vancouver Sun, ART AsiaPacific, New Art Examiner and FUSE Magazine. Bahl is a founding artist member of SAVAC (South Asian Visual Arts Collective) and ZEN-MIX 2000: Pan-Asian Visual Arts Network in Toronto. She has also received a number of visual art production grants and fellowships, for independent projects and artistic collaborations. She has also worked with a number of arts organizations as an Educator, Curator and Arts Programmer. Over the past 10 years, she has taught studio art courses at Sheridan College, Ryerson University, Alfred University, The Pratt Institute, Vermont College and the Ontario College of Art and Design. From 2005-2008, she was a Lecturer in the Visual and Performing Arts Program at the University of Toronto at Scarborough.